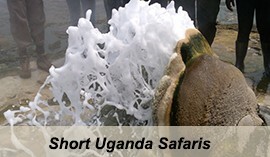 6 days Gorilla Safari Uganda, Wildlife Tour Uganda, Gorilla Tour Uganda. 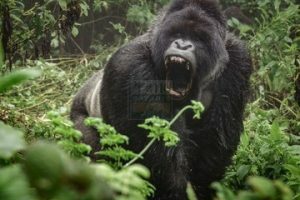 This is a 6 days Gorilla trekking safari in Uganda Bwindi Impenetrable Park & wildlife safari with tree Climbing Lions in Queen Elizabeth National Park and Lake Mburo Park. 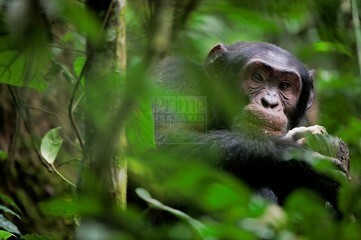 Enjoy the sights and viewing Uganda wildlife such as the tree climbing lions in the Ishasha sector, leopards, elephants, buffalos and trek Chimps & other primate in Kyambura gorge. 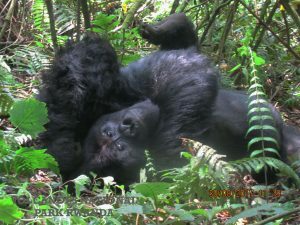 The 6 days Uganda Gorilla Trekking Wildlife Safari & Tree Climbing Lions is one of the highly rewarding safaris which give you the opportunity to have memorable encounter with the Uganda’s unique wildlife and Apes in the naturally endowed in Uganda safari parks. The trip starts from Kampala capital city to Queen Elizabeth national park where you can enjoy the sights and views of various splendid wildlife such as the tree climbing lions in the Ishasha sector, leopards, elephants, buffalos and trek the remarkable primate species in the Kyambura gorge, explore the adventurous Kazinga channel on boat cruises, After Queen, traverse through the marvelous Kigezi hills to Bwindi Impenetrable national park where you will have the highlight of this trip by having an opportunity to trek the world endangered ape species of the mountain gorillas which can be only found in south western Uganda in Bwindi Impenetrable Forest National Park, north western Rwanda in Volcanoes park and Virunga park in Democratic Republic of Congo. 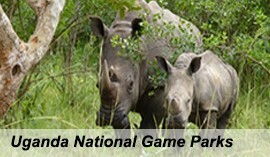 You will have chance to visit the Lake Mburo national park which is unique Savannah national park of its own in Uganda. The park houses the rare Impala (from which Kampala City derived its name), unique elands Zebras, Burch ell’s Zebras, Topi, bush backs. Lake Mburo located in the Center of the park offers opportunities for you to experience boat cruise which is highly rewarding with the views and sights of crocodiles, hippos, as well as stunning water birds. En-route to Kampala leads you through the equator where you will have stopover to appreciate the different Ugandan craft sold here, also do water experiments and do photo shooting and finally proceed to Kampala where the trip started from. Day 1 of the 6 days Uganda Gorilla Trekking Wildlife Safari & Tree Climbing Lions: Transfer from Kampala to Queen Elizabeth National Park. Day 3 of the 6 days Uganda Gorilla Trekking Wildlife Safari & Tree Climbing Lions: Queen Elizabeth National Park (Game drive and drive to Bwindi). Day 5 of the 6 days Uganda Gorilla Trekking Wildlife Safari & Tree Climbing Lions: Bwindi to Lake Mburo (Drive to Lake Mburo). Early morning after your breakfast, you will meet our driver guide who will pick you up from your Kampala lodge/ hotel, and depart to Queen Elizabeth national park Uganda by taking drive on the southwestern direction from Kampala. You will drive for 77km and make stopover in Uganda’s Equator where you will enjoy photo shooting, do some water experiment and appreciate the art and craft sold here. Embark on drive to Queen Elizabeth national park and along the way you will stop over for lunch in Igongo Cultural Centre situated 12 kilometers from Mbarara town. Proceed to Queen and on arrival you will do an afternoon game drive before retiring to the lodge of your choice for dinner and overnight. Mweya Safari Lodge (Luxury/Upmarket), Enganzi Game Lodge (Mid-Range/Standard) or Pumba Safari Cottages (Budget/Basic). After your early morning breakfast, you will be driven to the Kyambura gorge to enjoy the wonderful experience of tracking the habituated Chimpanzees and other remarkable primates such as baboons and monkeys. After memorable experience you will head back for lunch at the lodge and prepare for an afternoon adventure launch cruise on the Kazinga channel. The activity starts at Mweya peninsula and it takes 2 hours of memorable adventure full of wonderful views and sights of hippos, crocodiles, plus various water birds like the kingfishers among others. Immediately after taking your early morning breakfast, you will embark on game drive through the Kasenyi where you will be rewarded with the views of African Elephants, leopards, buffalos, North Kazinga plains and continue to the Ishasha sector to see the rare tree climbing lions among other remarkable animal species. From here you will proceed to Bwindi Impenetrable National Park which will welcome you with calm, tranquil atmosphere in the evening. 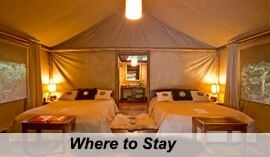 : Chameleon Hill Lodge (Upmarket/Luxury), Gorilla Mist Camp (Mid-range/Standard) or Broadbill Forest Camp (Budget/Basic). Chameleon Hill Lodge (Upmarket/Luxury), Gorilla Mist Camp (Mid-range/Standard) or Broadbill Forest Camp (Budget/Basic). 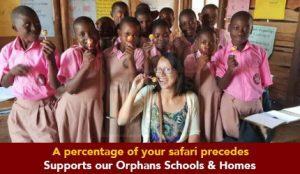 Mihingo Safari Lodge (Upmarket/Luxury), Arcadia Cottages Bunyonyi (Mid-range/Standard) or Eagles Nest (Budget/Basic). After your breakfast, you will set out on a guided nature walk to view the great topography of Savannah Park, enjoy the views of different acacia bird species and also meet different wildlife. As you drive out of the park, you will enjoy a game drive on the drive to Kampala, having an en route stopover to have lunch and take photos at the equator as well as buy some souvenirs at the African craft market. On arrival in Kampala you will be transferred to your hotel or the airport for your departure flight basing on your schedule. 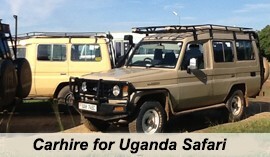 Uganda’s star attraction lives here!